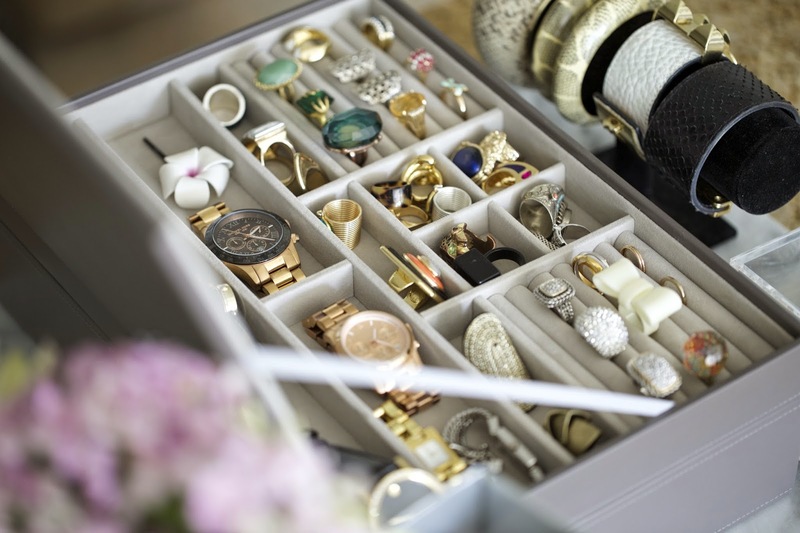 My Jewelry storage was in need of a major over haul. 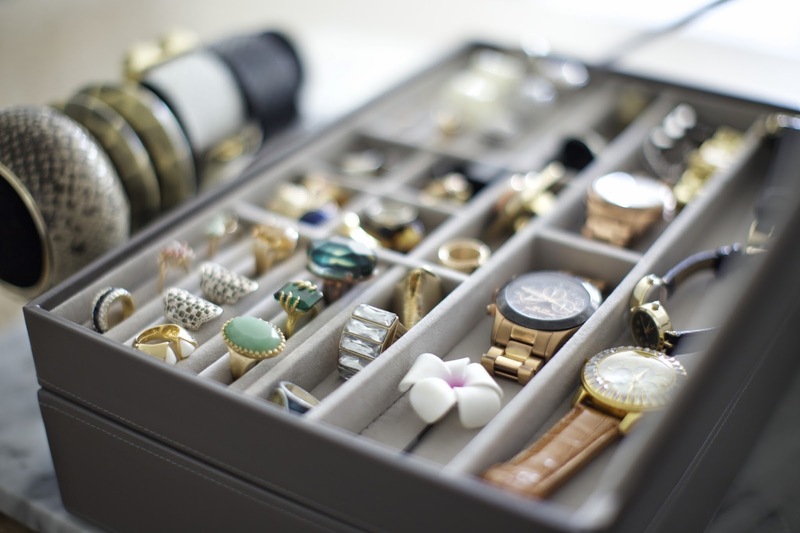 I was keeping my jewelry in plastic boxes, but I went to The Container Store the other day, and picked up the new Jewelry Stackers for my jewelry collection. 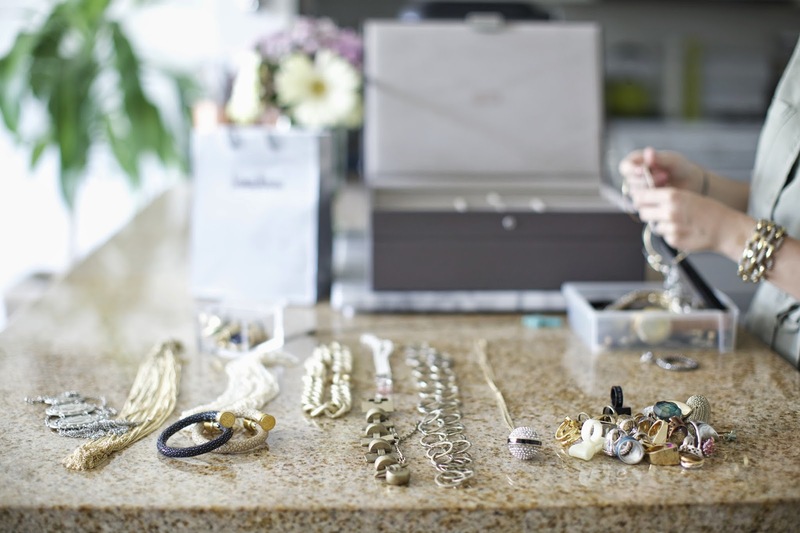 I sorted through my jewelry and decided what I wanted to keep, and what I wanted to donate. 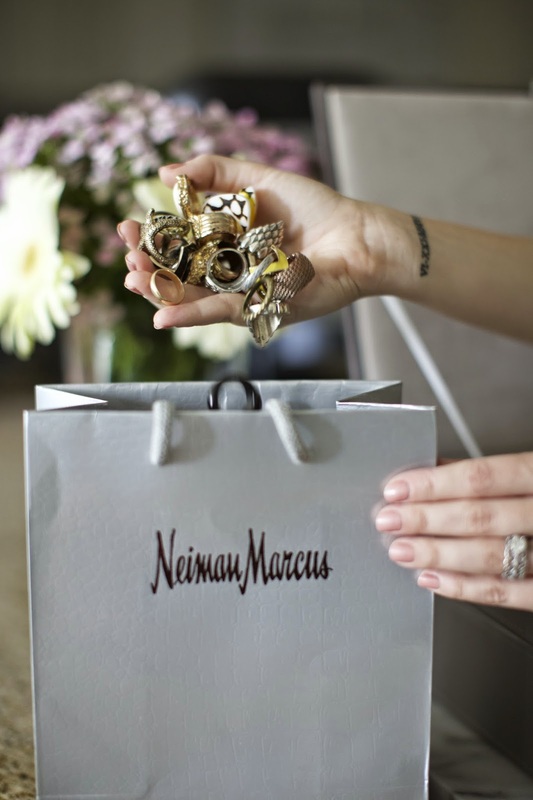 All of the items I chose to donate went into a small shopping bag. 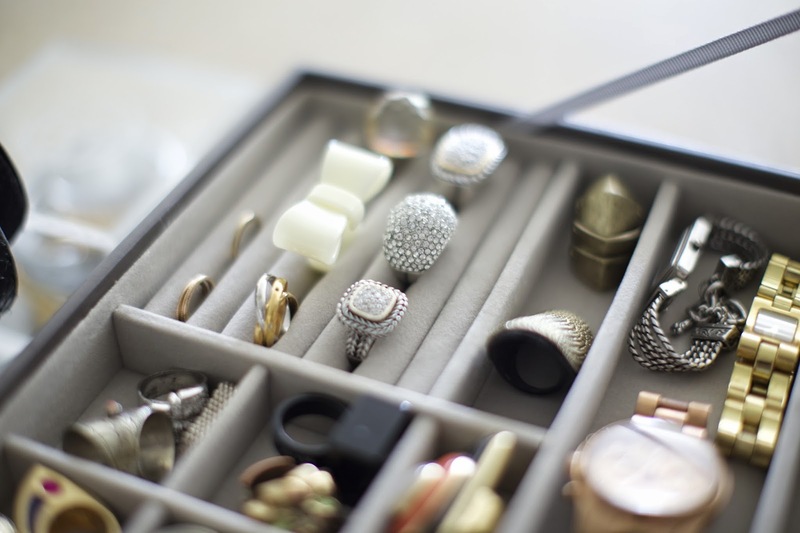 The rest of my collection I sorted out and put into the stackers jewelry box. 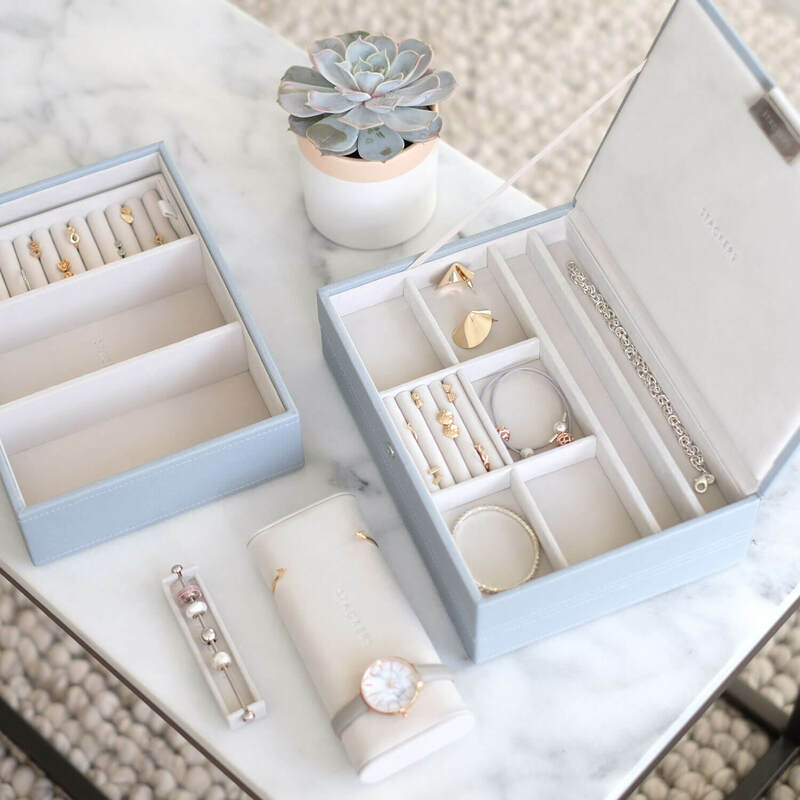 I LOVE these storage stackers because you can add compartments as your collection grows, plus it has tons of compartment options for all my jewelry pieces. 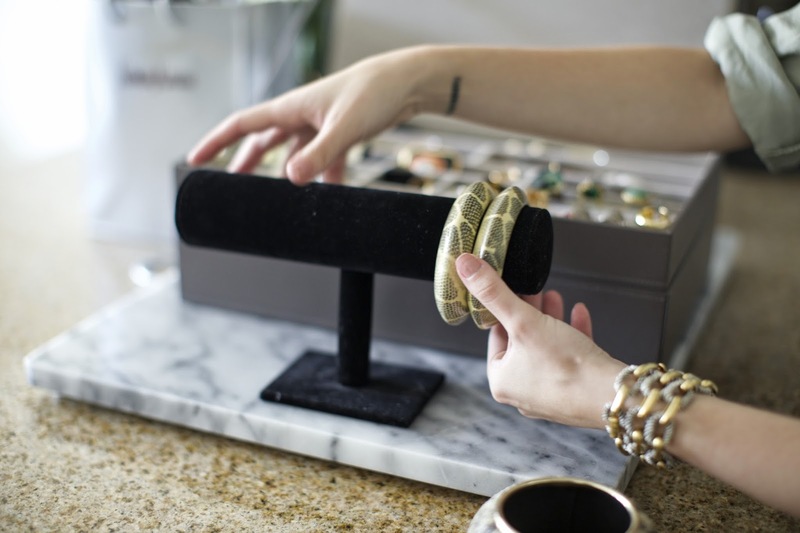 I purchased this bangle holder from Michaels a while back. 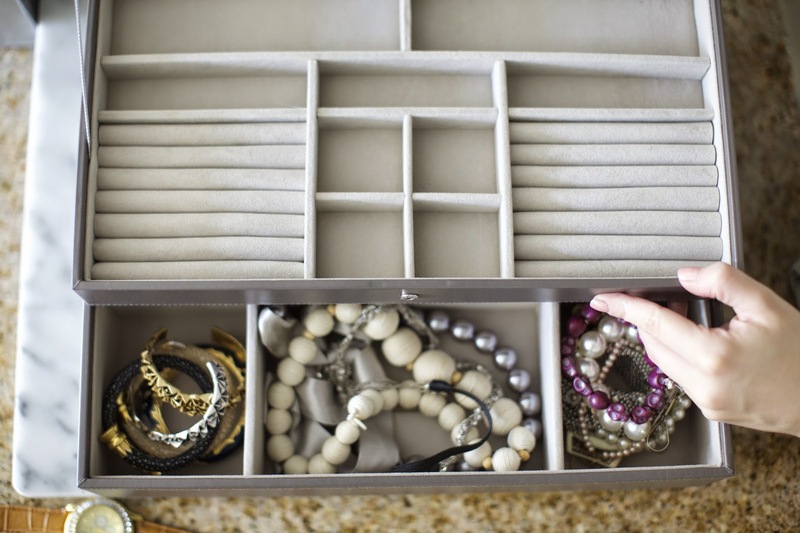 These are GREAT for storing my favorite bangles & cuffs. 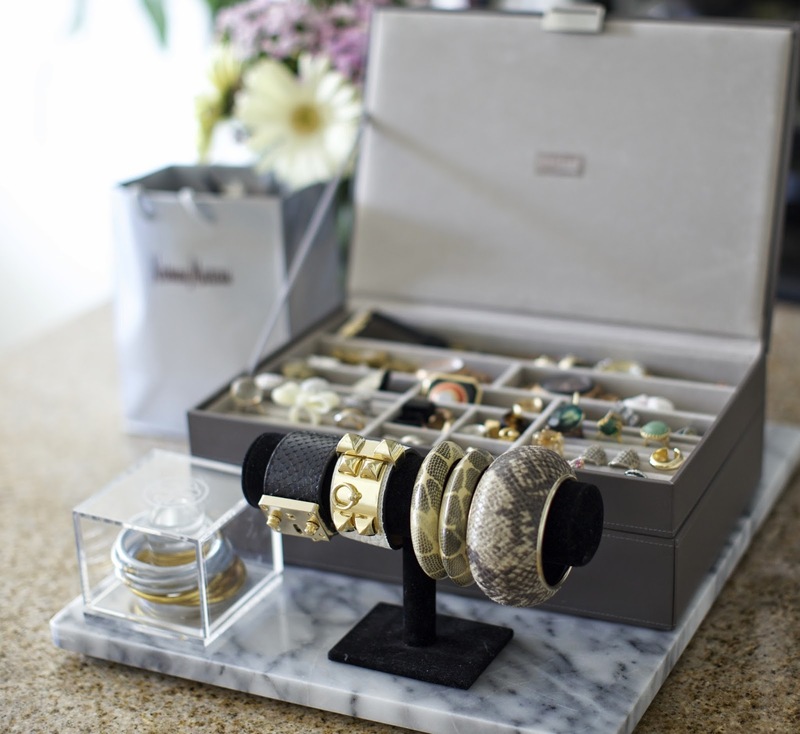 I got this awesome ceramic box that came with my Budha Girl bangles. 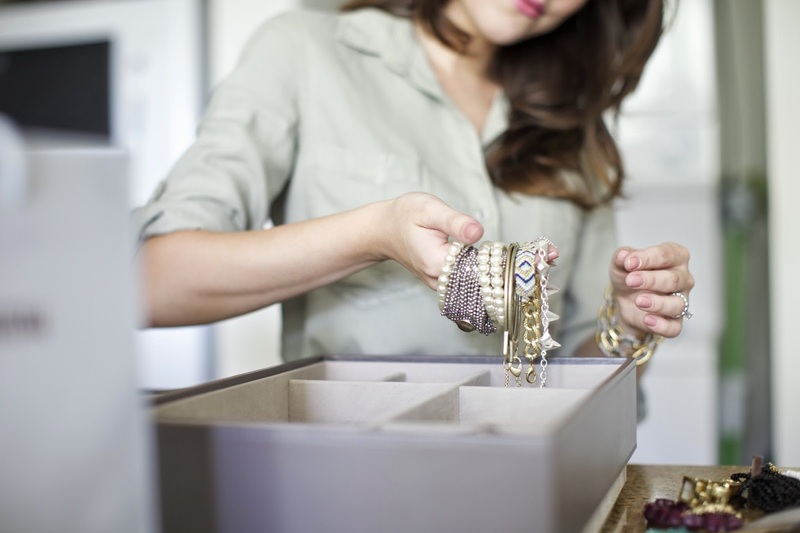 I still keep my “all weather” bangles in that box. 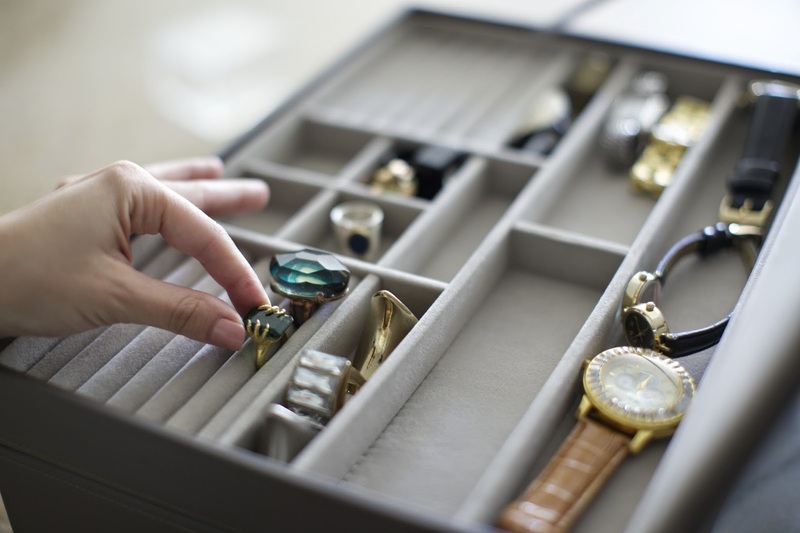 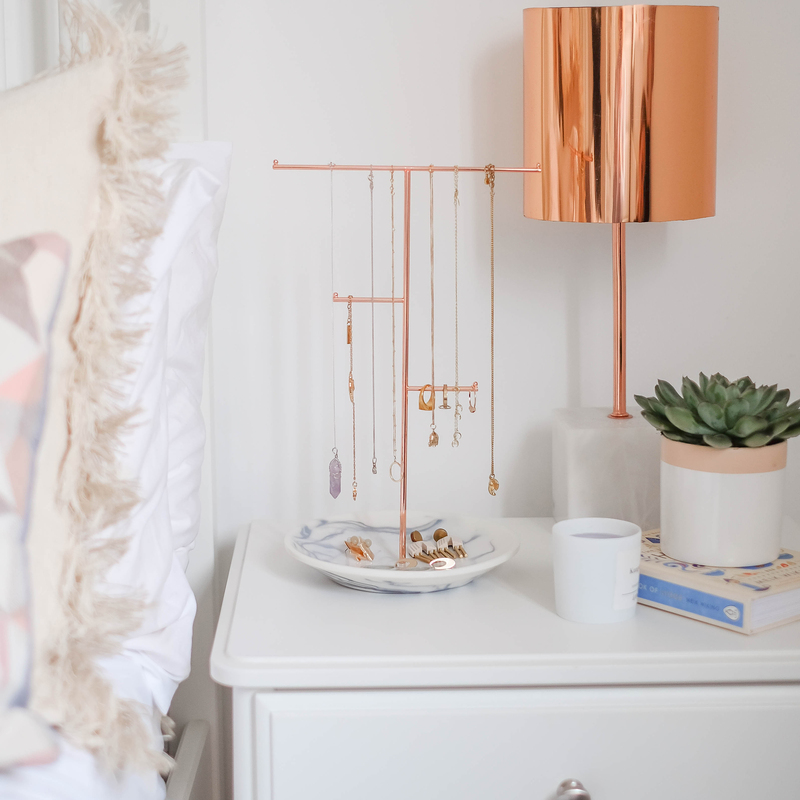 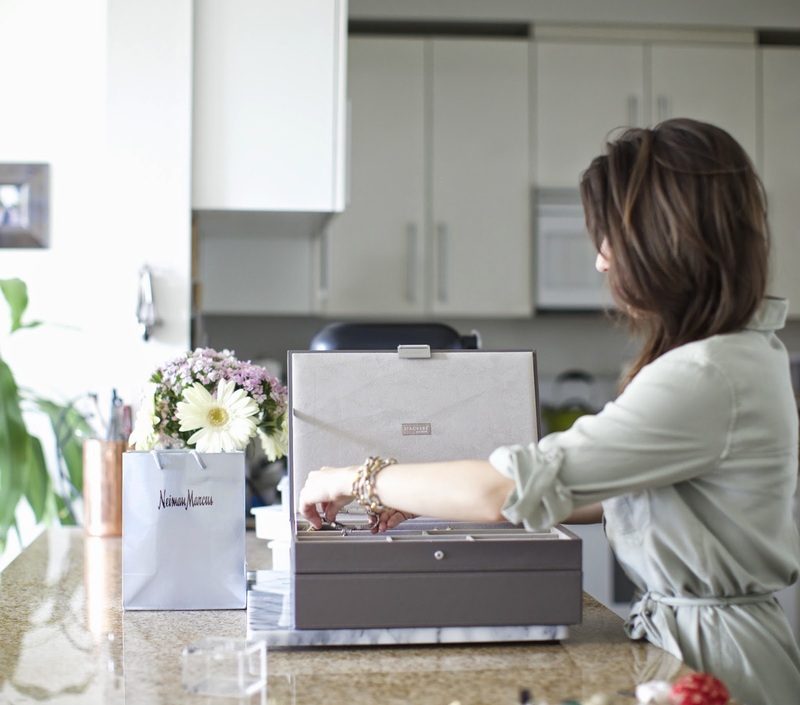 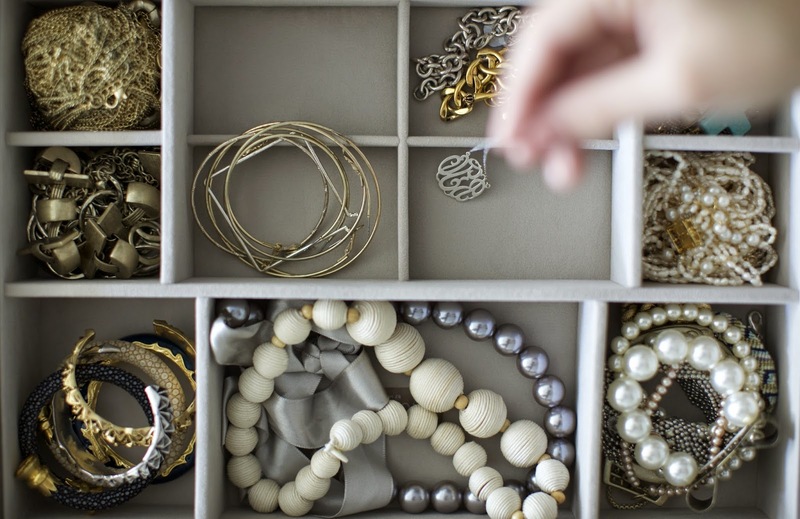 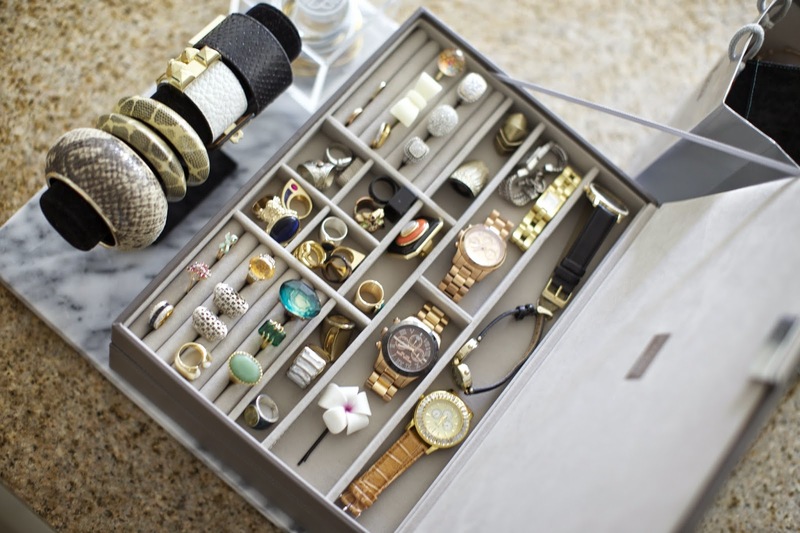 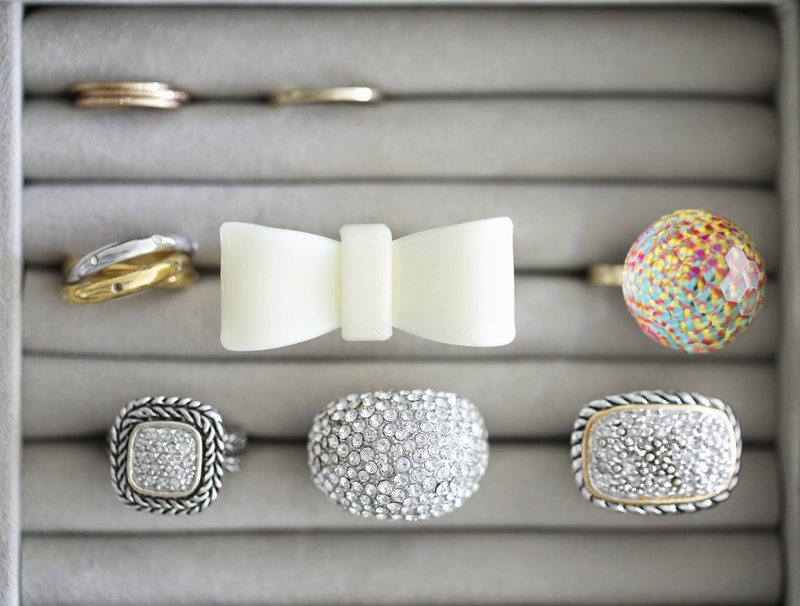 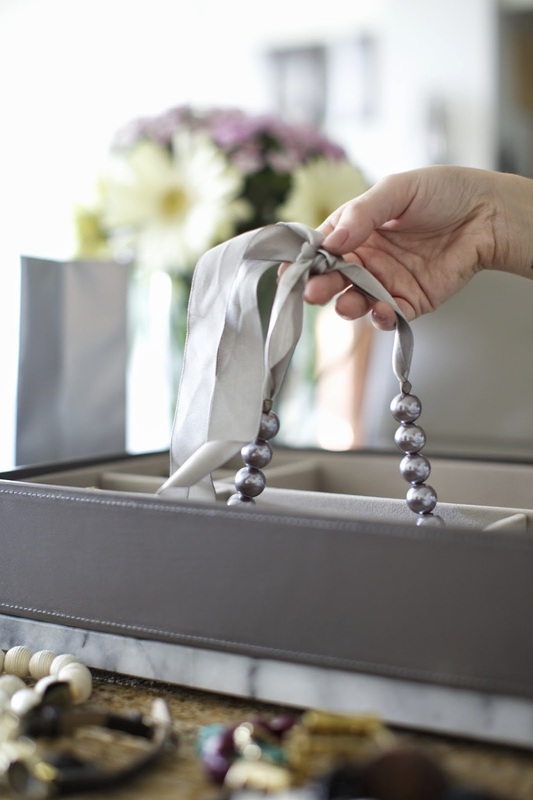 Hope you enjoyed this post, and it inspired you to organize your jewelry too.